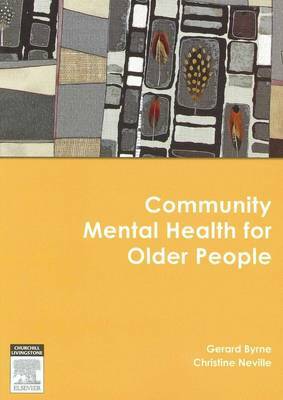 This text will cover issues relevant to the mental health of older people within a community context in Australia and New Zealand. Issues will include population health and the clinical management of the major concerns experienced with the diverse clinical presentations by older people. The mental health care of older people is now considered a specialist area with older person's mental health services being key components of the mental health service framework. The publication is primarily aimed at health workers in community mental health teams (registered nurses, clinical psychologists, medical practitioners, social workers, occupational therapists, Aboriginal and Torres Strait Islander health workers etc), but would incorporate those trainee health professionals involved in undergraduate and postgraduate studies.